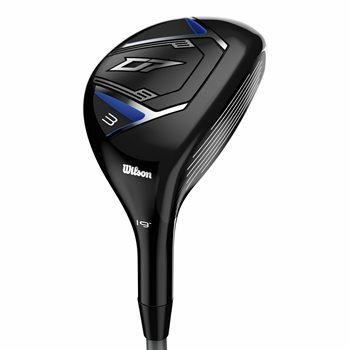 The Wilson Staff D7 hybrid with RE•AKT technology is a great-playing, highly versatile club that will always get you to the green. The D7 hybrd features a Custom 455 Face with a thin, hot surface for incredible feel and increased ball speed as well as a superlight design for faster club head speeds with less effort. The new crown construction with thin cast pockets adds structure while further reducing weight.